This curated project involved four professional, academically taught artists showing within the context of an amateur and predominately self-taught venue. 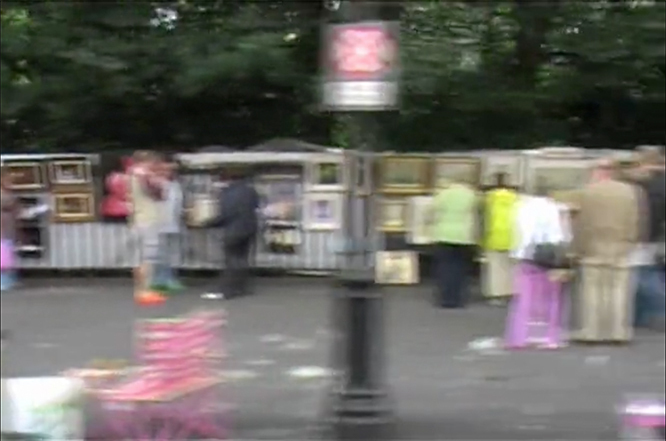 It took place during an annual outdoor event organised by the Peoples Art Group at the railings of St. Stephen’s Green, Dublin, Ireland. 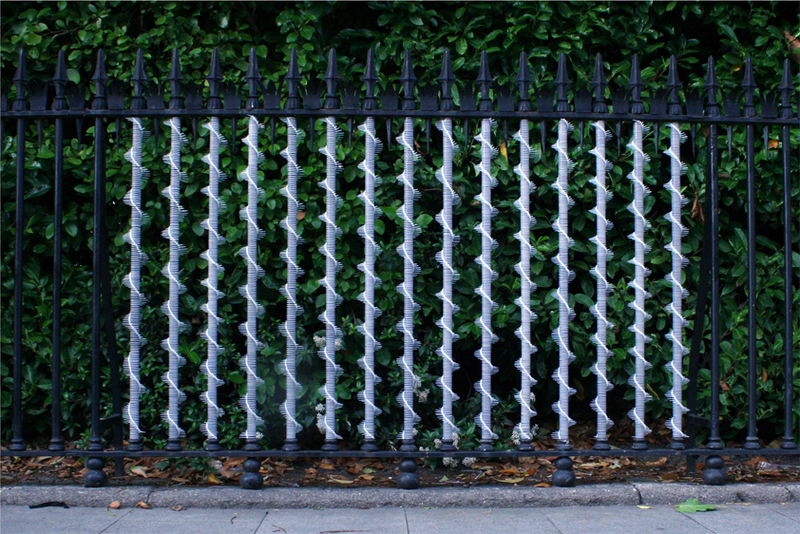 The Gatekeeper Project took place over three days on or near an allotted 12-foot by 6-foot section of the railings given to the project by the event organisers on behalf of Dublin City Council on the south side of the railings. From a curatorial perspective, the objective of this intervening project was to explore both the art industry, the status of artistic professionalism, institutional conventions and methods of evaluation. 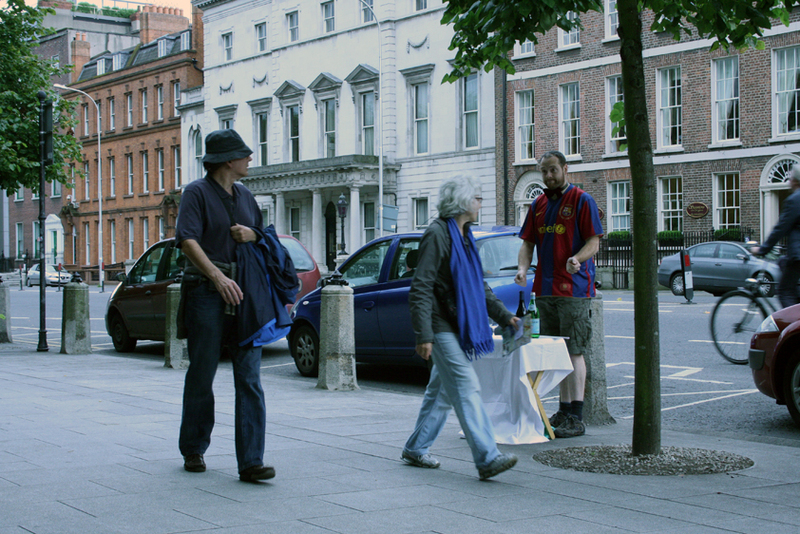 The invited artists included Cormac Browne, John Graham, Sinead McCann and Margaret O’Brien. Each artist invited to show responded to the space, site and concept of this project using a variety of media including relational methods, object-based installation and facets of performance. Video, 45 secs. 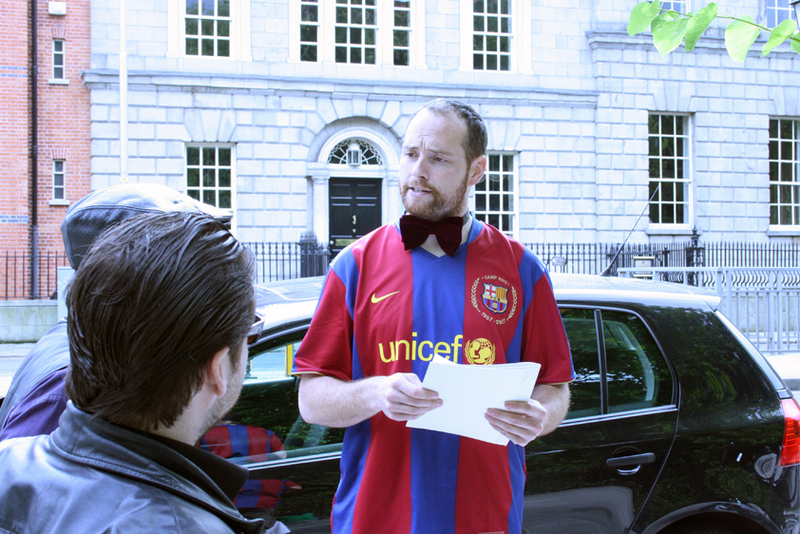 The footage documents the context for The Gatekeeper Project. 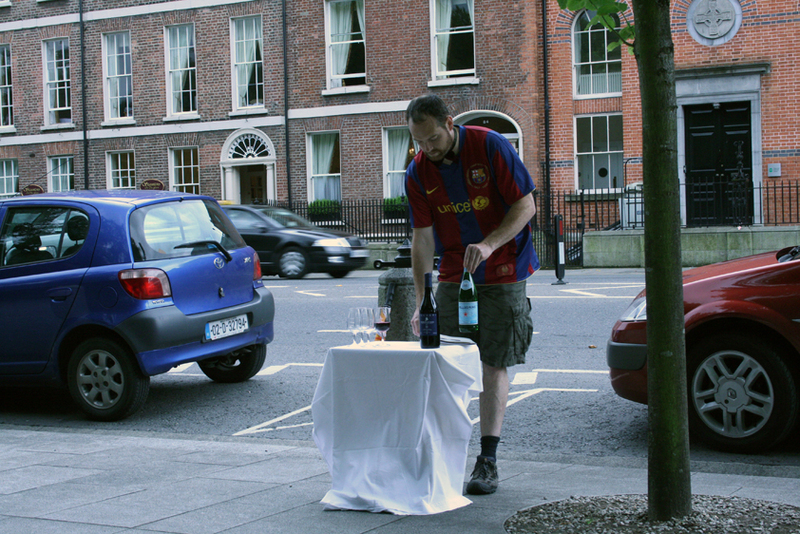 Description: Browne produced an interactive performance, which utilised the guise of a wine expert to conduct a wine tasting with willing members of the general public. 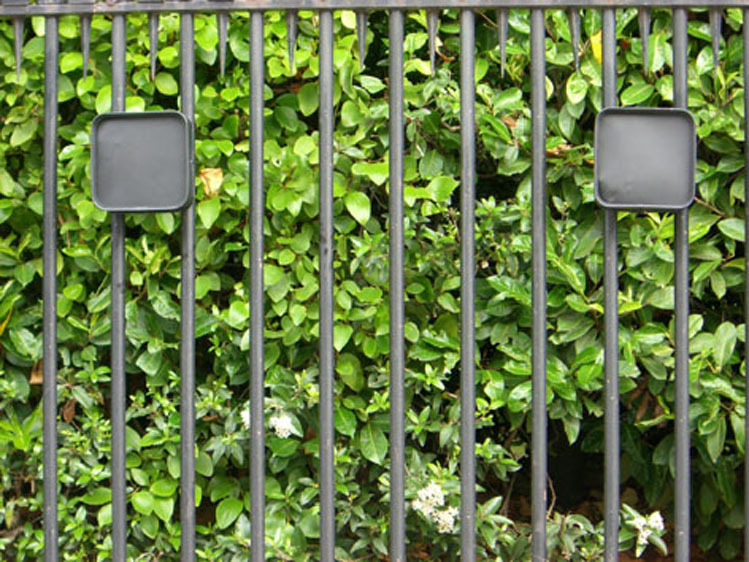 Description: McCann installed a sound-based piece comprising two black boxes positioned on the railings, formally emulating understated aspects of street architecture. 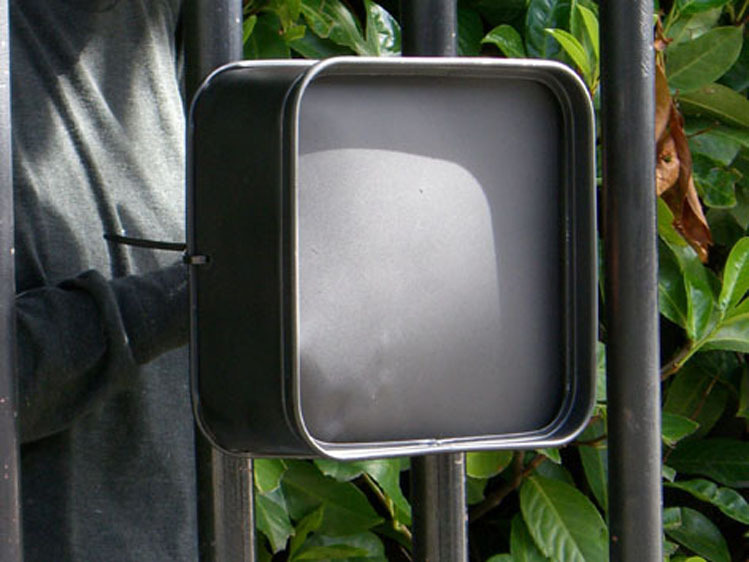 Sound recordings from the time McCann spent with individuals recovering from addiction at the Coolmine Drug Rehabilitation centre, Dublin, Ireland were emitted from the boxes at specific intervals throughout the day. 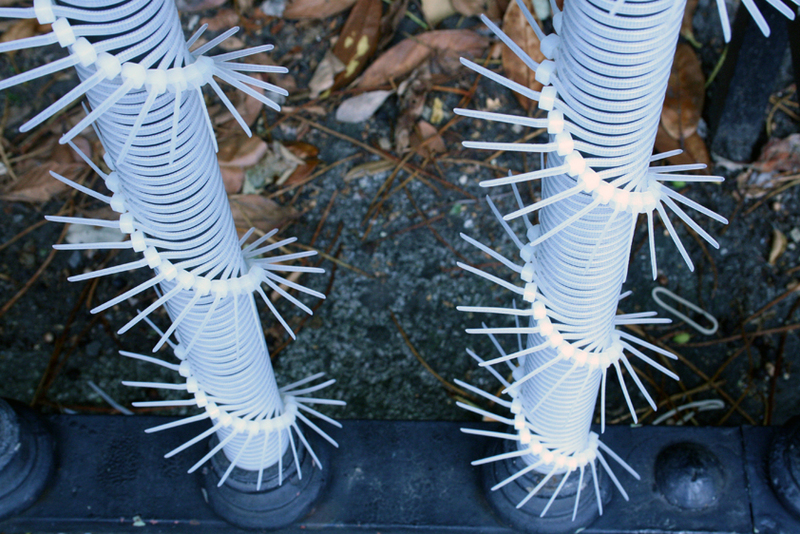 Description: O’ Brien constructed a site-specific installation piece which utilised cable ties – conventionally used at the amateur event to hang paintings from the railings. 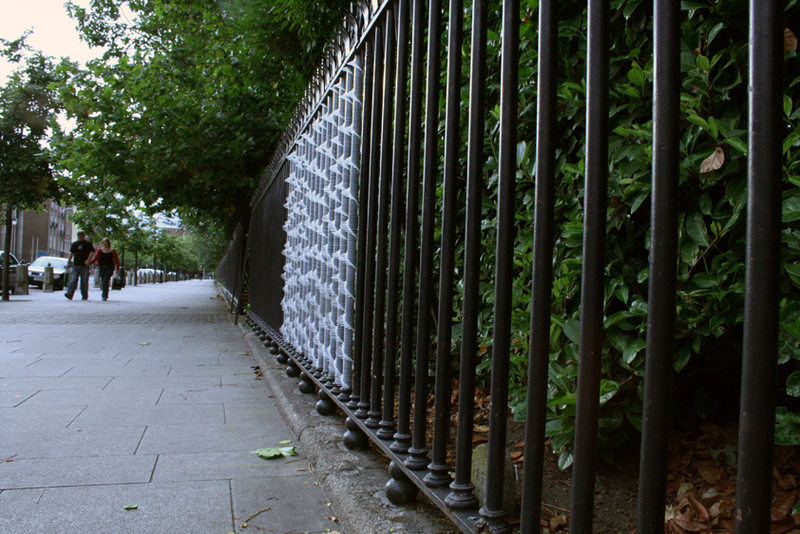 O’Brien reconfigured the cable ties in a multiple and patterned form to cover the entire section of the railing allotted to the project. 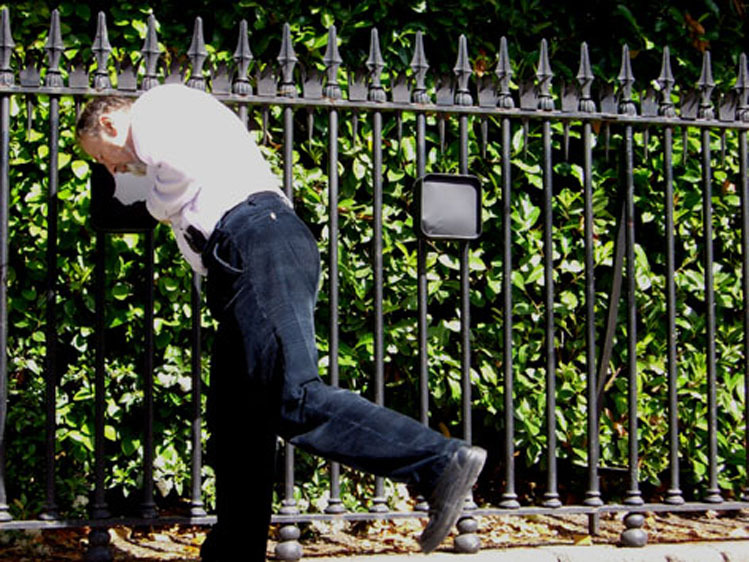 Description: Graham produced a questionnaire for the project and spent time interacting with, photographing and interviewing members of the Peoples Art Group who showed artwork on the railings at the same time as The Gatekeeper Project. N.B. Please follow link for further details of John Graham’s contribution to The Gatekeeper Project.